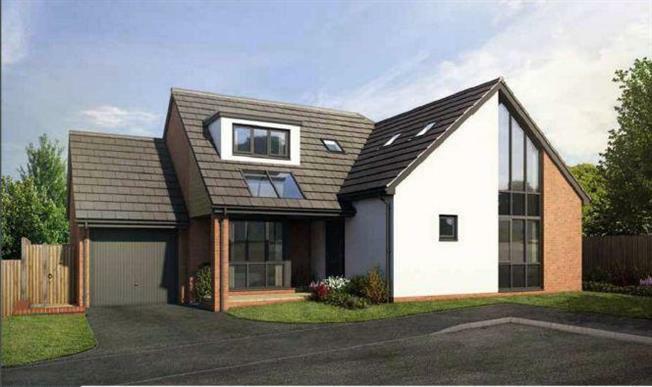 4 Bedroom Detached House For Sale in Devon for £445,950. A 4 bedroom chalet bungalow with ground floor master bedroom featuring an en suite AND dressing area, plus kitchen/dining room with French doors, a separate living room and a single garage, parking and garden. Please note that the interior photographs are taken from a similar Baker Estates development. Gardiners Meadow is an exciting new development from noted home builder Baker Estates, and comprises a collection of just 15 3 and 4 bedroom homes, set within a countryside location on the outskirts of the coastal town of Seaton, Devon. A range of thoughfully designed, light and airy houses and chalet bungalows. Built to a high specification, and with energy efficiency and thoughtful design in mind, these stunning homes will be modern living at it's best! Please call now for more information!